It has been exactly two years since I finished my all-fruit experiment. I’m still very much interested in fruitarian and raw vegan lifestyles. Looking back, that was so not a lot of fruit each day!! But it seemed like it at the time. 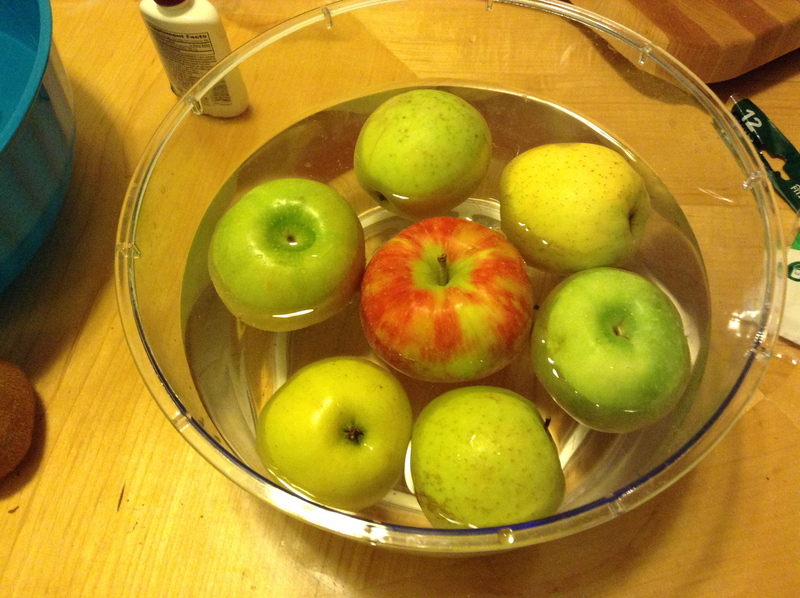 The fruit I eat in one meal now probably equals 2 or 3 days worth of the fruit I ate during the experiment. One thing I keep hearing some successful raws say is that they first did some type of fast before or during the raw diet, and it helped them to stay raw. 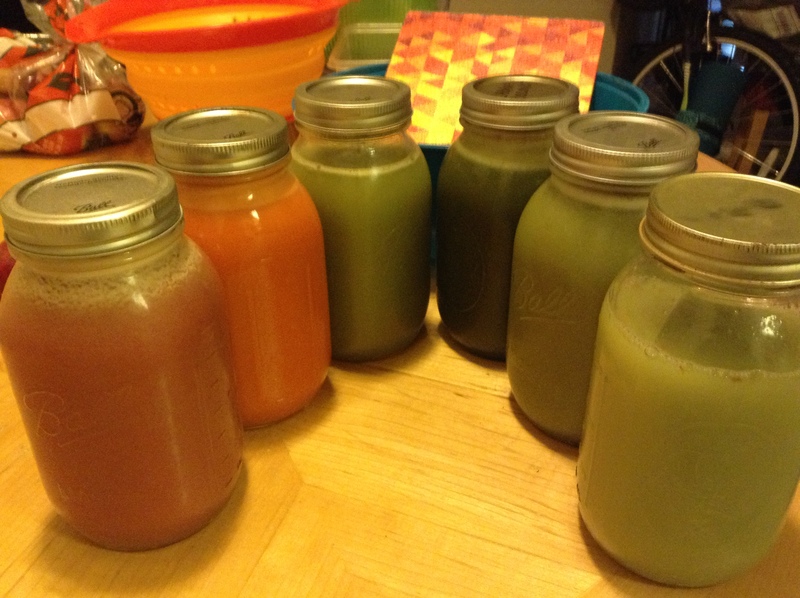 It is not my first juice fast, but my first long one. I intend to take it one day at a time, fasting anywhere from 7 to 40 days. 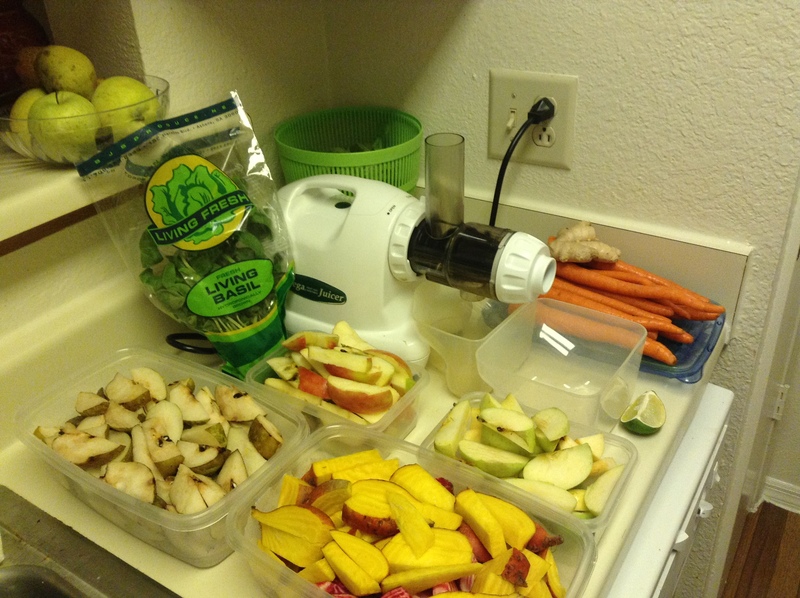 So, that’s a couple of my many goals for this juice fast. My vision is “not that bad”, but I do wear contacts. When I was high-raw (eating a cooked meal of rice for dinner; all other snacks/meals raw) for 7 or 8 months in 2010, my vision cleared to the point I didn’t need them! 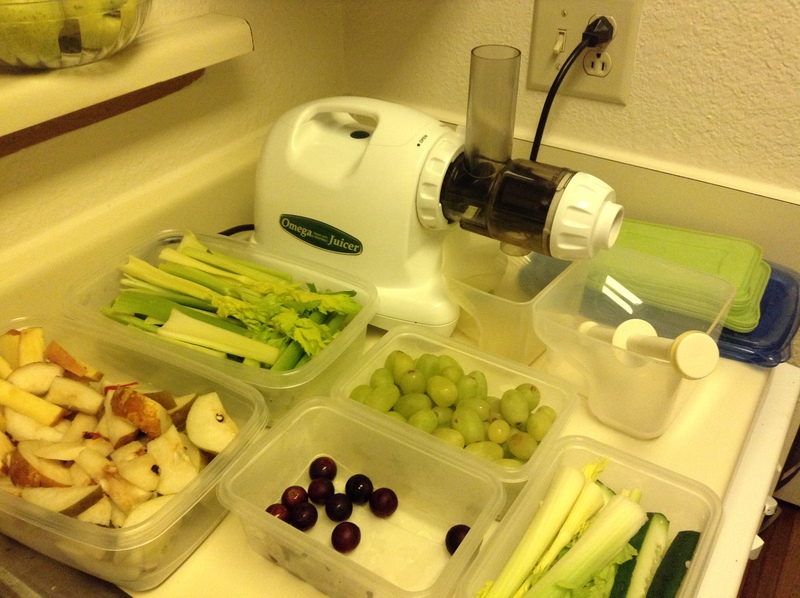 I began preparation for the juice fast itself on Sunday (October 13) — buying any additional organic produce from Whole Foods, as I already get weekly produce boxes from a local CSA, and juicing ahead of time to begin the fast tomorrow. You may get caught up in a new passion — possibly related to a new interest of yours, or maybe a cause that hasn’t quite hit the mainstream yet. Things are looking up for you and your people! Can I live on fruit alone? Yes! However, it’s not ideal for me at this point. I really missed leafy greens, among other foods. How much fruit will I need? I typically ate 6 to 8 pieces of fruit each day and that sufficed. In one week, I spent approximately $50. 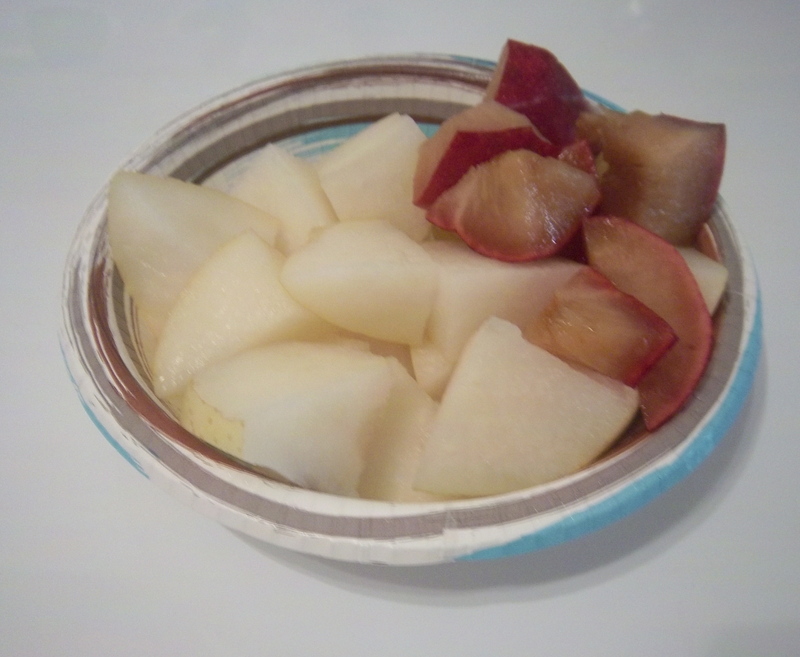 Having been on a raw/living foods plan in the past, I found myself comparing the fruit experiment to those days. As far as Energy, there were no big changes. Every time I ate, there was this feeling of having a “pick-me-up” as with eating most any other meal. I wasn’t flying high, didn’t have so much energy that I couldn’t sleep. I didn’t feel as energetic as I felt when on a raw/living foods diet, which is comprised of fruits, vegetables, and sprouted nuts & seeds. I did feel quite alert, so maybe the energy changes were on a more subtle level. Digestion ~ no issues. Fruit is very easy on the stomach. It breaks down quickly. There was also a lack of gas. Weight Loss ~ about a pound per day. My initial weight was 145.2 lbs. My final weight this morning was 139.0, for a total of 6.2 lbs lost. Not as dramatic of a weight loss as I experienced on a raw food diet, and I’m glad! I’m not trying to lose weight. Overall, I mostly loved giving this fruit thing a try. I found it too curious to not. Every time I heard of a fruitarian, I thought How does that work? 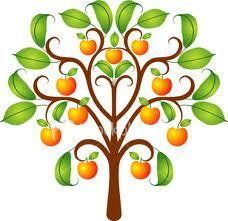 Fruitarians were mystical creatures. I only ever heard of them. So now I’ve had my feel of it. To be and see for yourself…that answers the question! 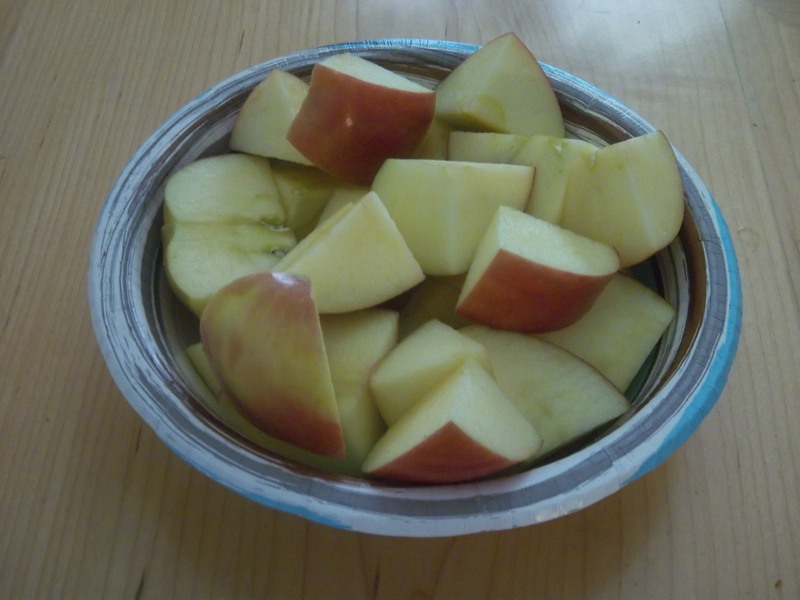 A bowl of apples for breakfast. No problems finishing them this morning! I was pretty hungry. I didn’t have anything else after the coconut last night, though I meant to. I’m visiting a loved one in the hospital today, so I’m keeping things very simple…apples, bananas, cherries…for the road and at the place. My weight this morning was 139.8 lbs. That’s a loss of over 5 pounds in one week. I’ll comment further tomorrow, after my last day of fruit is complete, and I’ve weighed myself again. I had over a 3-hour drive yesterday. I bagged up the last of the cherries and ate most of them during the trip. The hospital cafe had fresh fruit. Ninety-nine cents per banana! I’m used to the typical 99-cents per pound, but it wasn’t terrible. Lunch was still only a couple of bucks. I munched on an apple on the way back, then had the last apple once I got back home. The kiwi skin is edible, after brushing off the fuzzies, but I went ahead and sliced it off. The shape threw me off! Each looked like it wanted to separate into two. 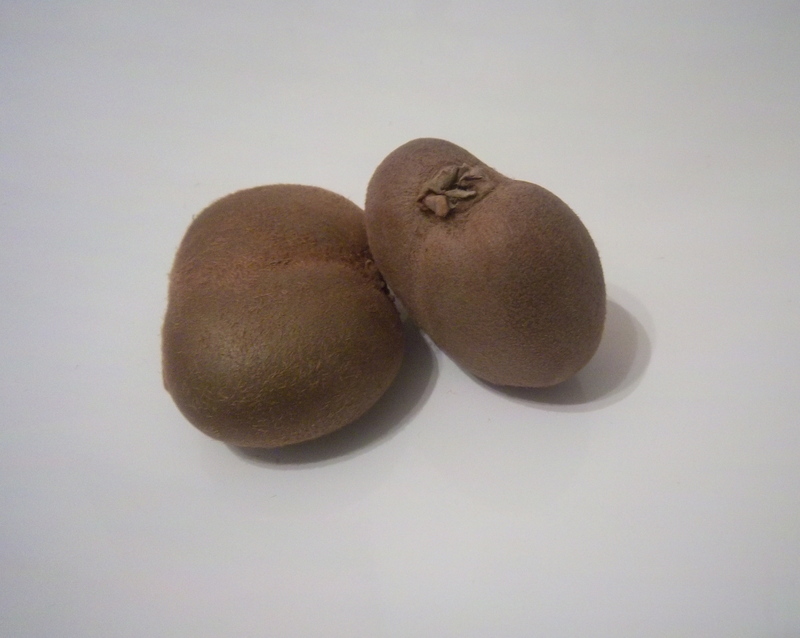 All of the kiwis in the market looked like that. I’m used to the clearly singular oval ones. Nonetheless, they are just as sweet, juicy, and delicious. I always expect kiwis to taste like an avocado or something else green, but no. And the cherries this morning are divine! I take it they’ve had a chance to further ripen. At 50-cents each, the kiwis were only $1. The cherries were perhaps $1 or less, too, since they were $5 per pound. So, breakfast was approximately $2. 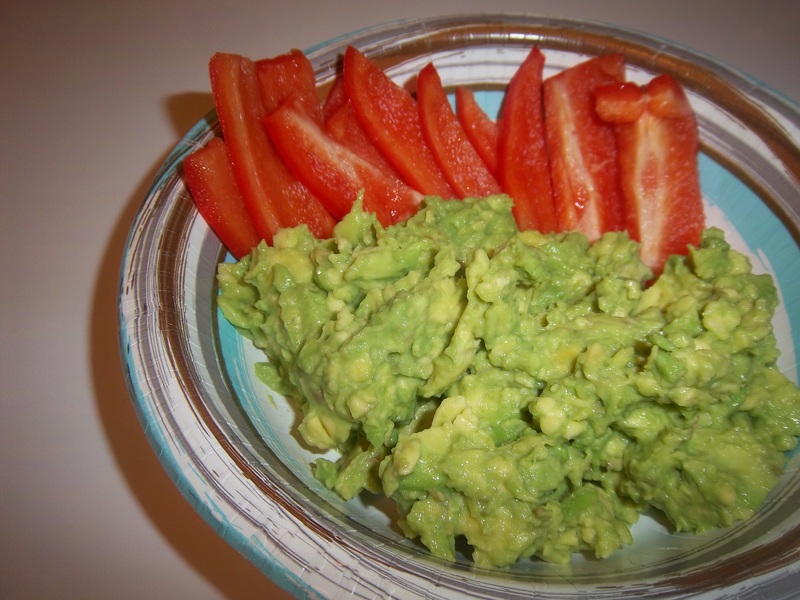 A repeat of last night’s dinner — salted avocados and bell peppers. After being mashed in a bowl, they poured perfectly into the peppers. Pretty easy eating, too! They stuck very well, no other utensils required. The bell peppers were $2 per pound. They are pretty small, so they were barely $1. The avocados were 80-cents each. So, lunch was barely 3 bucks. 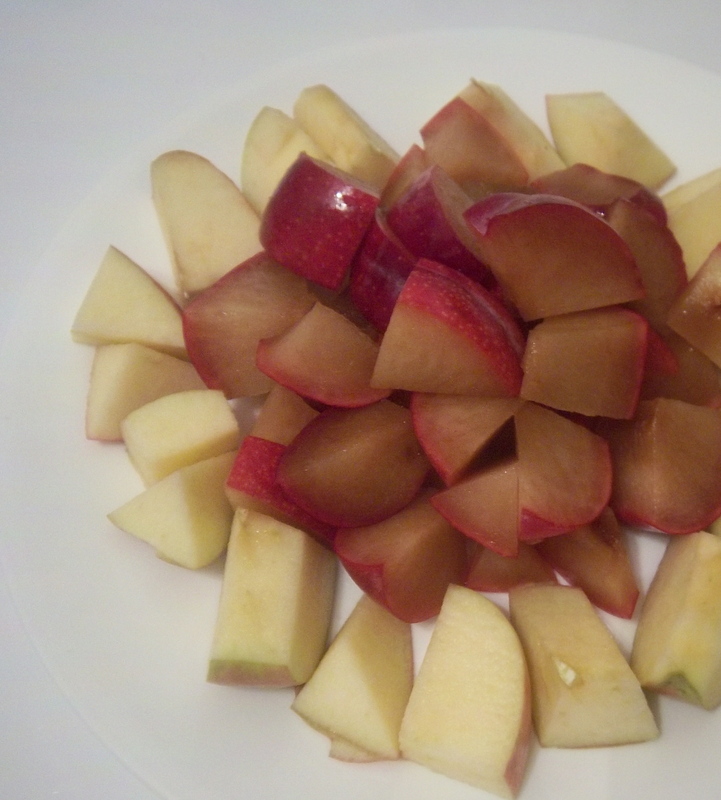 My last one…So that leaves me with only apples to eat tomorrow, the last day of my fruitarian experiment. There is the little melon left, but it’s not looking so good. I’ll probably be swinging by the store again. I had leftovers for breakfast — the rest of the plums I didn’t finish last night. I ate around 11 am. I still have the other Korean melon plus cherries, but I didn’t have much of a taste for either. I decided to wait until I went shopping to eat anything else. I had a very late lunch, around 3:30 pm, after I got back from shopping at the international market. I couldn’t wait to crack one open!! I was pretty sloth-like until I took a sip, then I felt recharged! 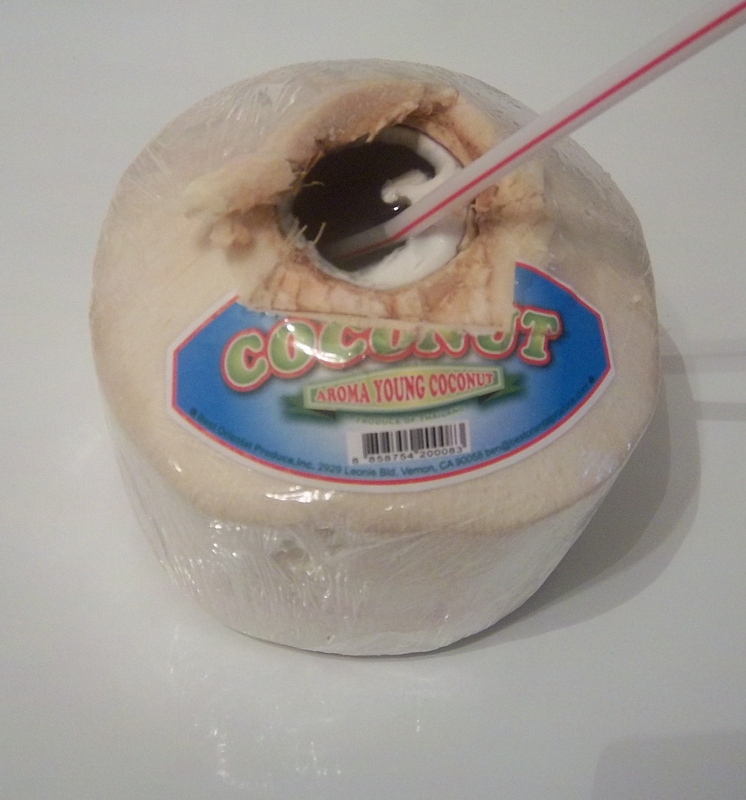 I happened to notice that it took about 45 minutes to finish the whole coconut. Just finished dinner. I had 2 mashed avocados sprinkled with salt plus a side of sliced red bell pepper. 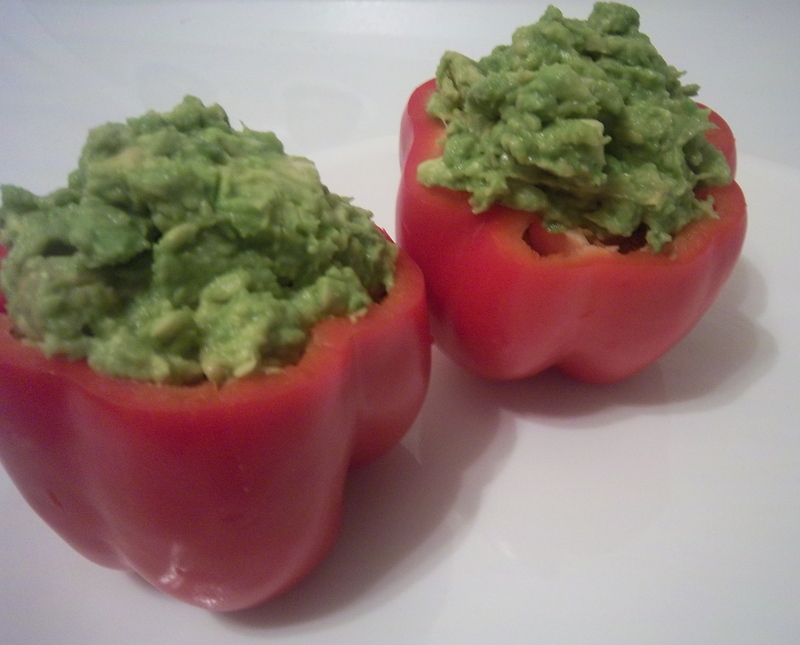 I love the way bell pepper smells, and its sweet taste complimented the salty avocados. Great combo! Working on another coconut. I should really buy a whole case. Being on the go this morning, I grabbed a couple of bananas. Another first, Korean pear! It’s much larger than the teardrop-shaped pears. It deserves to be this large — it’s so juicy and delicious! Also, it has a bit of a nutty taste, like walnuts.The consistency is that of an apple, rather than the gritty-like texture of other pears. Korean pears were $3 each. I also had some of a plum that was going bad. I salvaged what I could. I was particularly hungry for dinner. I had my last apple and the last of my plums. I’m down to my last just-about-everything today. All I have left from Wednesday’s shopping is one of the Korean melons and a bowl of cherries. That will be my breakfast. I’m surprised that all of it lasted as long as it did. No complaints, but I’m actually kinda confused. I thought I’d be way hungrier and tear through it all in a day! I hear of fruitarians eating like 30 bananas a day! Or some other incredible amount of fruit, just to live and not be hungry. I’m doing well with my “meager” amount. Maybe the “30 bananas” is just a myth. Maybe my mind and body are coping in their own way since it’s just a 7-day long venture. Dunno. It was filled to the brim! It’s like a 2-for-1 deal because you drink the water, which is quite a bit, then easily scoop out and eat the jelly-like fruit inside. It’s all-together delicious and fun to eat! 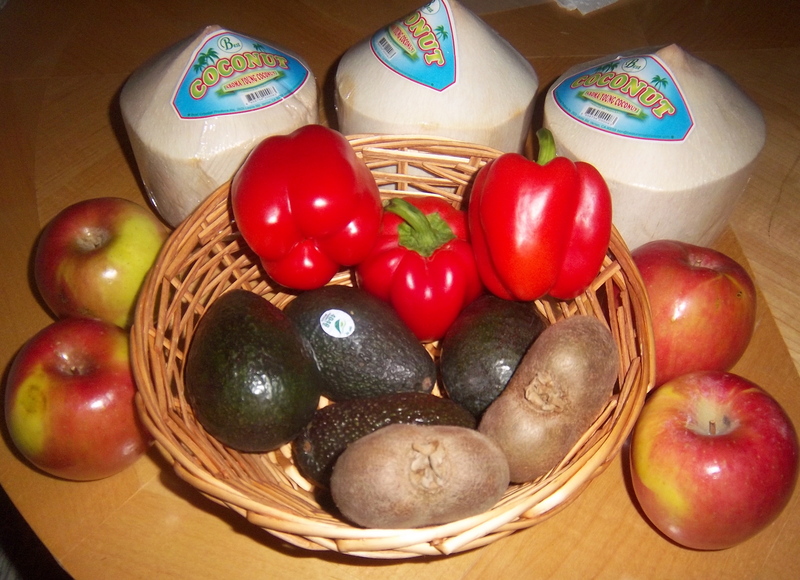 Only $1.99 at the international market, which usually has the best prices for young coconuts. At some of the chain grocery or natural food stores, they can run up to $4! 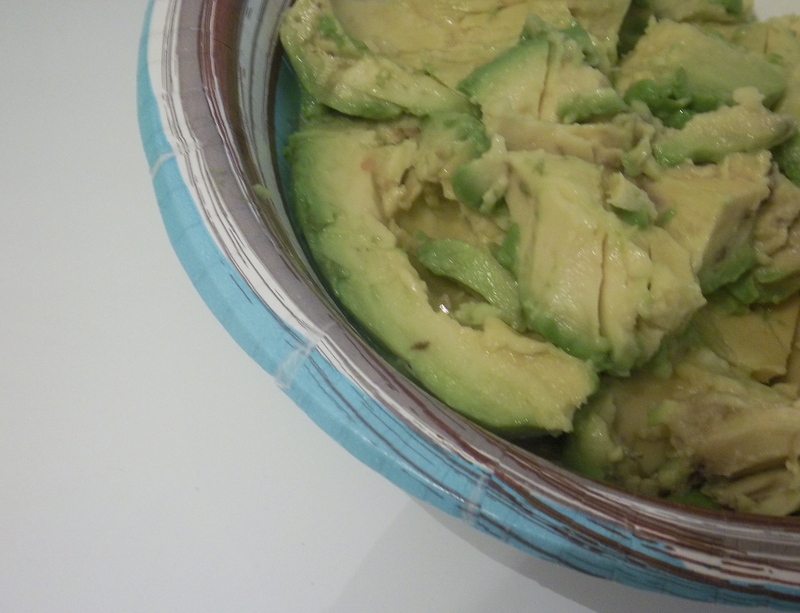 I wanted something salty for lunch, so I mashed up a couple of avocados and sprinkled them with sea salt. 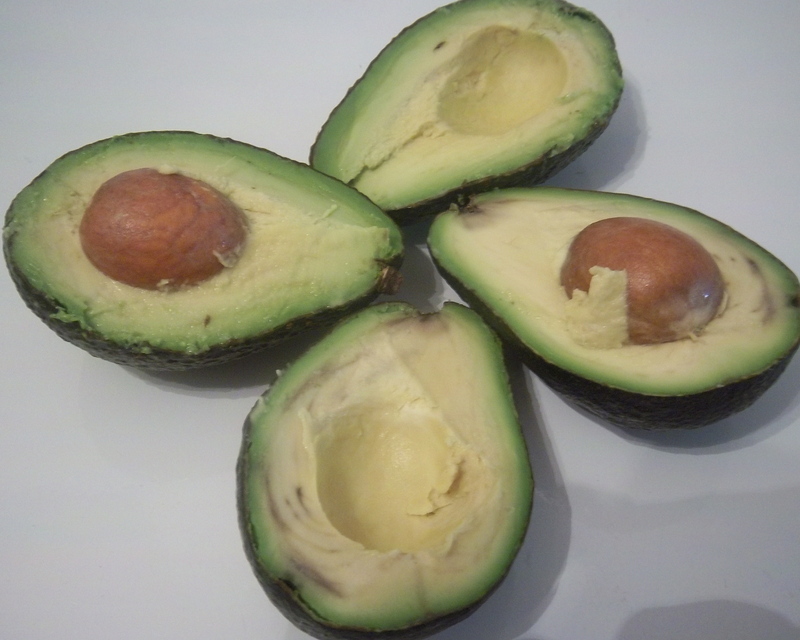 At 80 cents each, my avocado lunch was only $1.60. 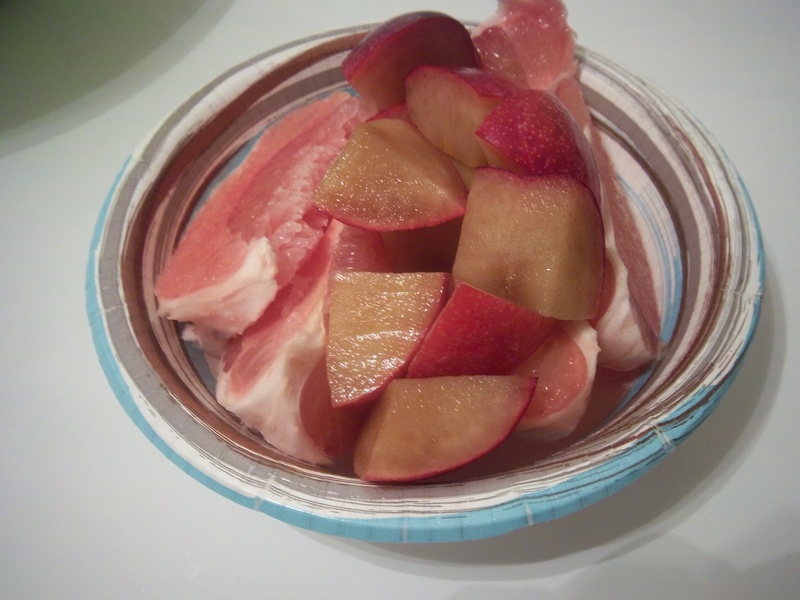 I’m having the rest of my pomelo from Day 1 and a red plum for dinner. The plums were 1.50/lb. I bought 4 for a total of $2.60. The pomelo was $3. Having only half today of it today, I’ll say the pomelo is $1.50. So my dinner was a little over 2 bucks! Sweet! !